...the guys compose all their own material, and excel at bringing a welcome sense of hookiness to even the most swag-filled hype tracks. 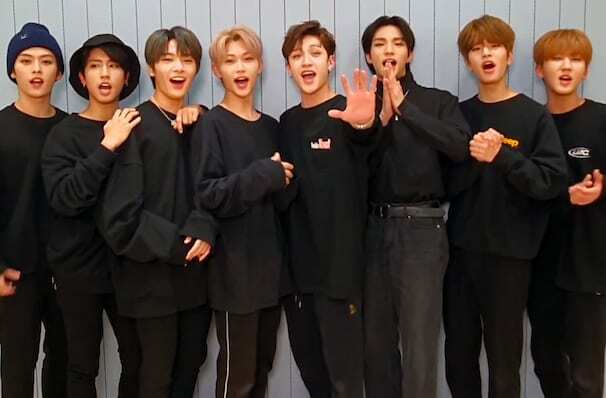 Formed after winning the popular reality TV competition of the same name in 2017, Stray Kids fuses the budding talents of Bang Chan, Woojin, Lee Know, Hyunjin, Felix, Changbin, Hand, Felix, I.N. and Seungmin with a carefree wild image that reflects their moniker. Following a commercially successful debut in 2018, the ensemble hits US shores for the first time on the 'I Am... Tour'. Throwing down the gauntlet with their first ever release 'District 9' in early 2018, Stray Kids presented a whirlwind riot of hip hop and rock-tinged bubblegum pop in its instant crowd-pleasing anthems. Emotive, singable choruses, anthemic electric guitars, soaring ballads and killer rhymes populate their growing catalogue of songs, marking them an exciting new force in K-Pop. Seen Stray Kids? Loved it? Hated it? Sound good to you? Share this page on social media and let your friends know about Stray Kids at Prudential Hall. Please note: The term Prudential Hall and/or Stray Kids as well as all associated graphics, logos, and/or other trademarks, tradenames or copyrights are the property of the Prudential Hall and/or Stray Kids and are used herein for factual descriptive purposes only. We are in no way associated with or authorized by the Prudential Hall and/or Stray Kids and neither that entity nor any of its affiliates have licensed or endorsed us to sell tickets, goods and or services in conjunction with their events.